Weick was interested in designing the aircraft for "everyman"...a safe, reliable plane which could be inexpensively built and flown. 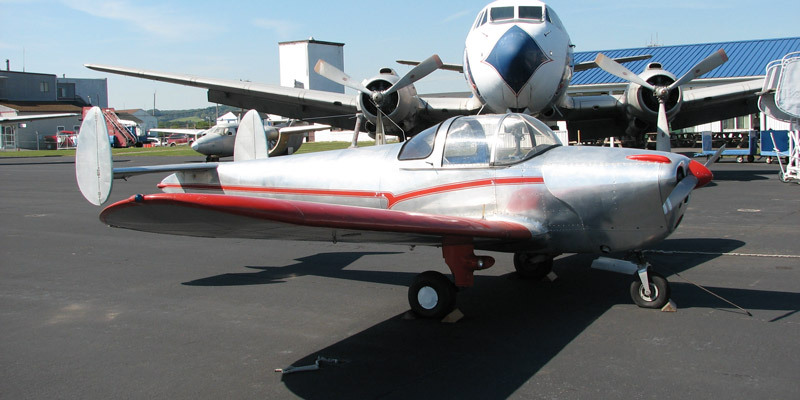 By 1937 he felt that he had succeeded with a plane he named the "Ercoupe". 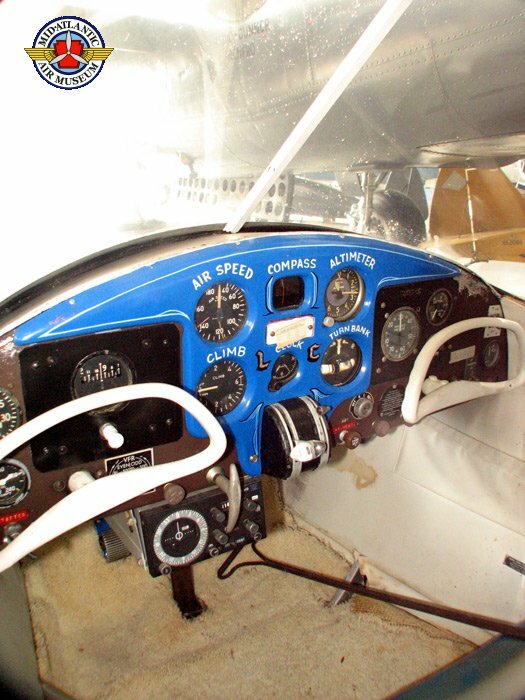 In addition to many elements of the W1, the Ercoupe added another: its coordinated controls eliminated the rudder pedals common to other aircraft. 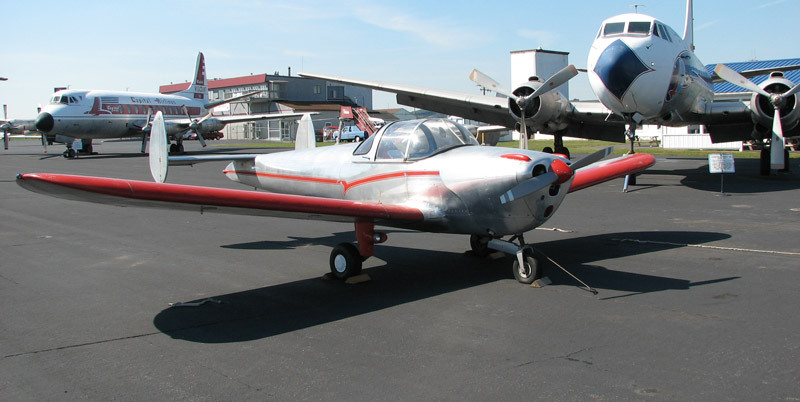 The Ercoupe design would continue in and out of production for the next thirty years, and would continue to build a devoted following of pilots which continues to grow to this day. 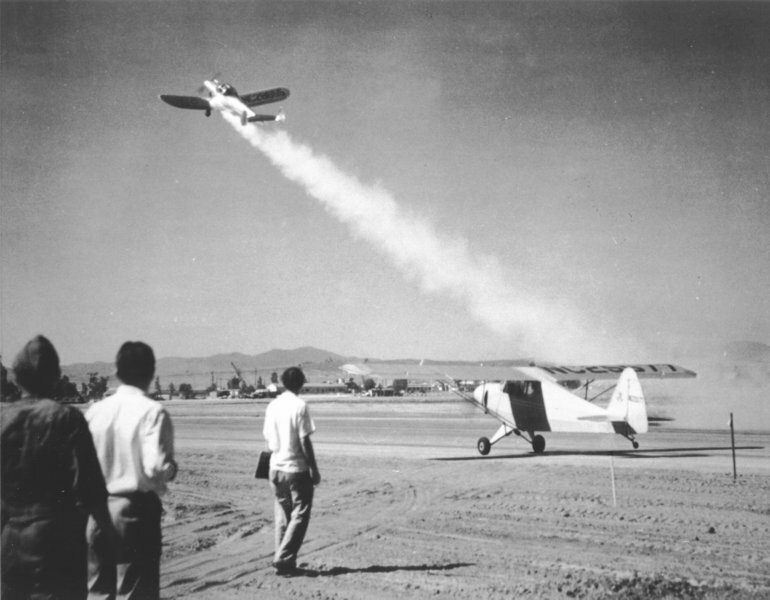 Take-off of America's first "rocket-assisted" fixed-wing aircraft, an Ercoupe fitted with a GALCIT developed solid propellant JATO booster with a thrust of 28 pounds force (125 N). 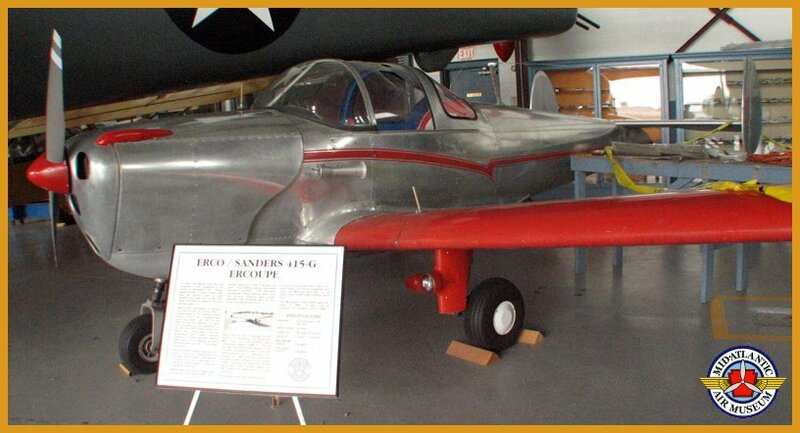 The Ercoupe took off from March Field, California on August 23, 1942 and was piloted by Captain Homer A. Boushey Jr.
Production resumed at the wars end, but ERCO sold its remaining Ercoupe inventory to Sanders Aviation in 1947, which continued to produce the aircraft in the same ERCO-owned factory. 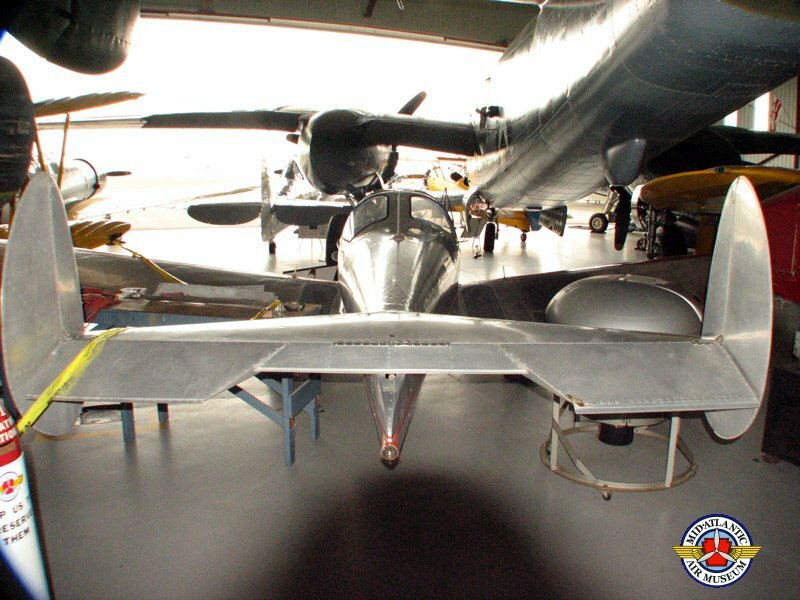 A prototype with retractable gear was built in 1946 and flown with a bigger engine, but it was never certified. 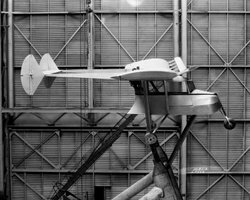 The production of the little plane was on again, off again with the design being sold in turn to Universal Aircraft Industries (Univair) of Aurora, Colorado in 1950; Forney Aircraft Company (Fornaire) of Ft. Collins, Colorado in 1955, where it became the Aircoupe; then Air Products Company of Carlsbad, New Mexico in 1960. Next it went to ALON, Inc. of McPherson, Kansas in 1964. 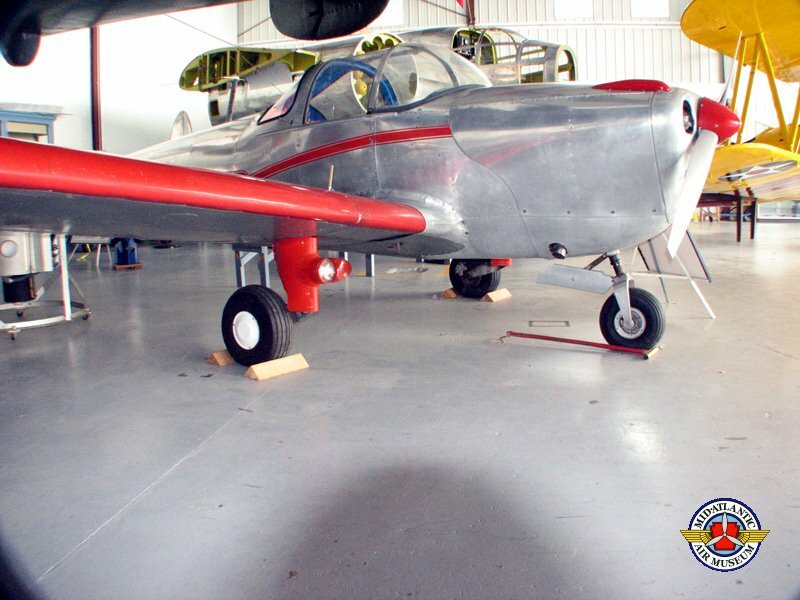 Mooney purchased the much-traveled design in 1967 and designated it the Mooney A2A with the factory moving to Kerryville, Texas late in 1968. There they re-designed the fuselage from the cockpit back. 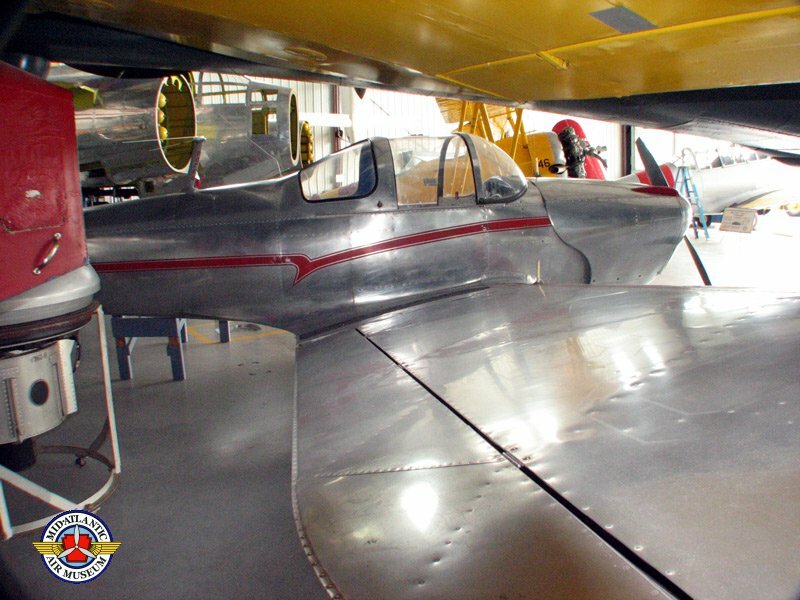 Now, the Mooney A2-A could be recognized by the square windows behind the sliding canopy. 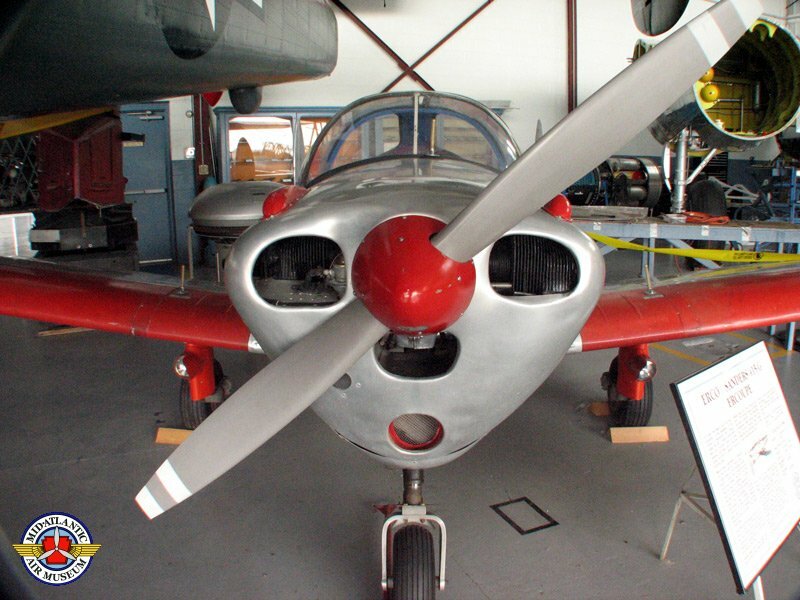 Even as they produced the A2-A Cadet, the Mooney engineers were busy re-designing the coupe into something uniquely Mooney and completely un-Weick-like. 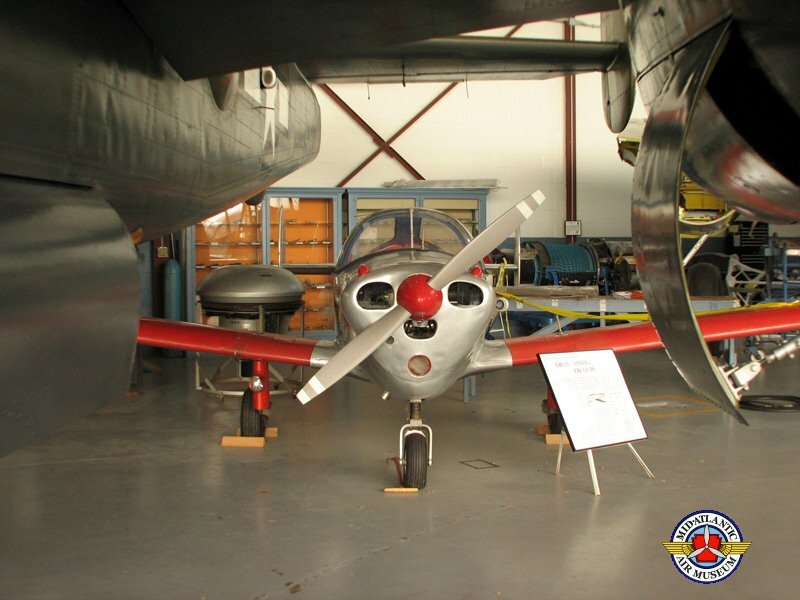 On February 23, 1968, the first Mooney Cadet M-10, single tailed in the conventional manner, flew. But meanwhile, the production line still turned out the A2-A twin tailed Cadet. The type certificate was sold once again (and as of 2006, for the final time) to Univair Aircraft Corporation of Aurora, Colorado in October, 1974. While no new Ercoupes have been built since 1970, Univair continues to produce parts and provide technical assistance to owners. Ercoupe owners also enjoy an active type club that helps to organize and efficiently distribute updated information about their aircraft. 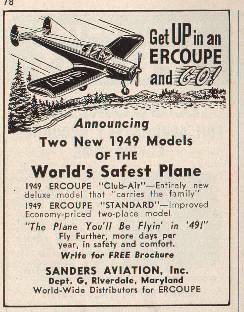 In all, approximately 5,650 Ercoupe/Aircoupe aircraft were built. 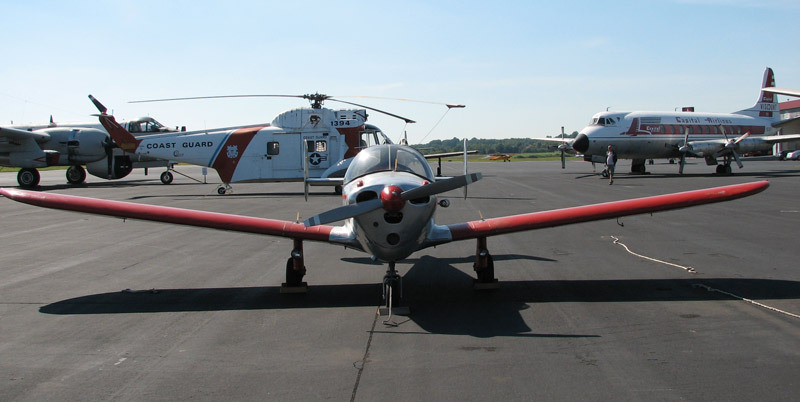 Renewed interest in the older models of the Ercoupe, the 415-C and the 415-CD, has been sparked by its status as the only existing, certified tricycle-geared aircraft that meets the requirements of the FAA's new Light Sport Aircraft. 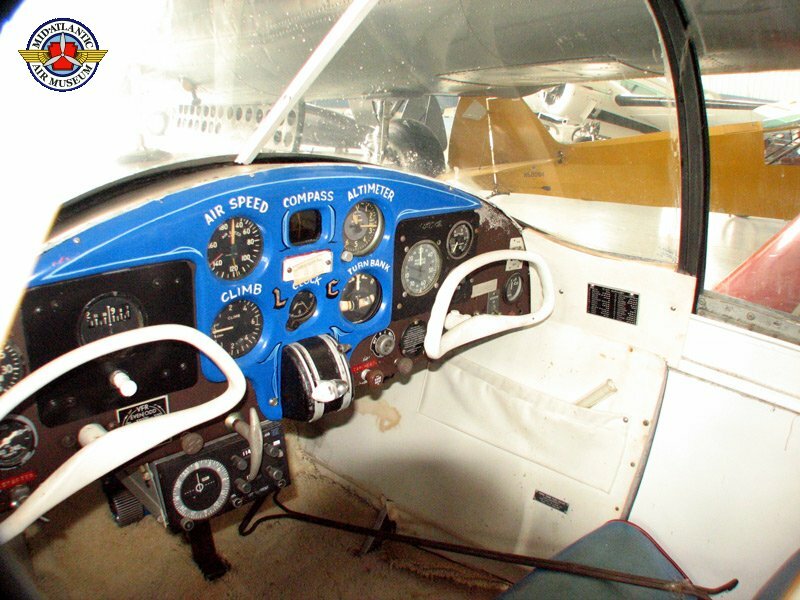 This enables it to be piloted by holders of a Sport Pilot license. 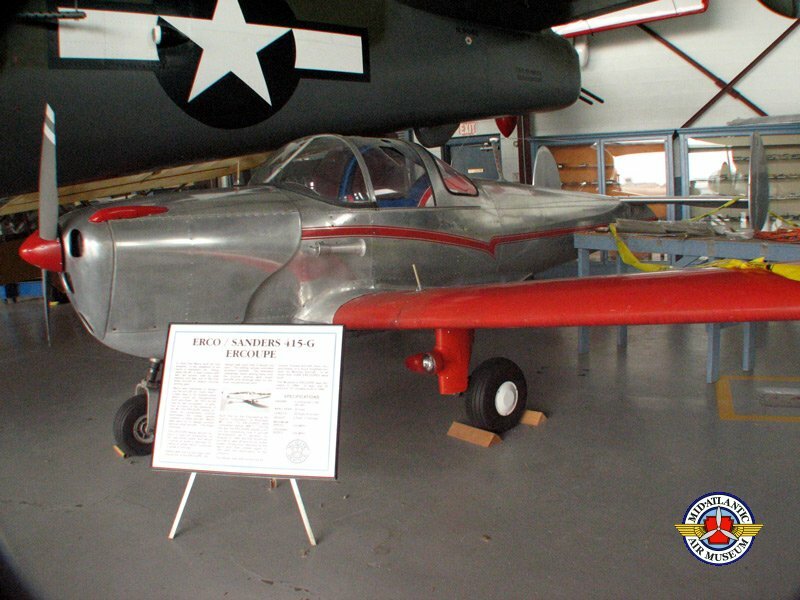 The Ercoupe's designer, Fred Weick later went on to co-design another famous small craft .. the Piper Cherokee. 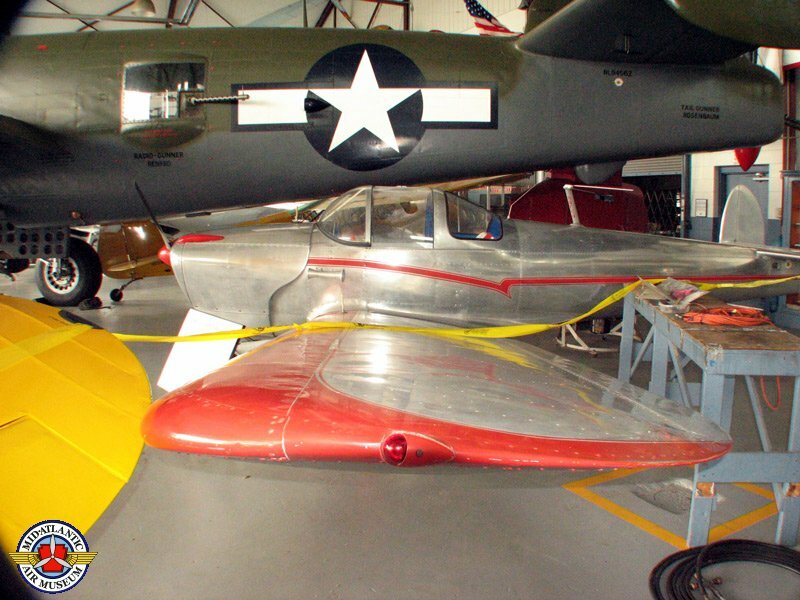 The Mid-Atlantic Air Museum's Ercoupe was donated in 1994. It was one of 66 "G" models built in 1950. 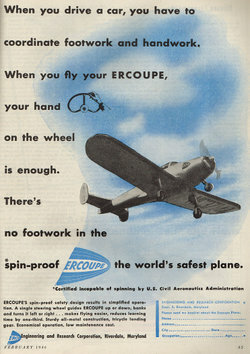 As shown in the 1949 ad, above, the 415-G came in two versions: the "Standard" economy model, and the deluxe "Club-Air". The latter came equipped with a generator, electric starter, lights and radio, as well as a larger baggage area and bubble windshield. It even featured a "Kiddy-Seat!" 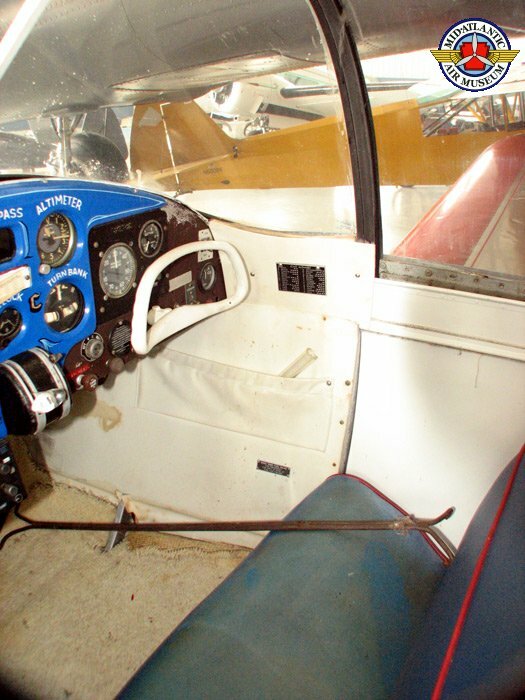 It was offered with two- or three-control system — the optional rudder pedals were more psychological than practical. It listed for $3,950. 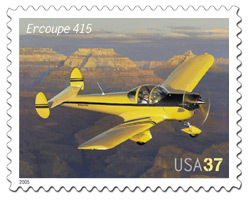 image of the Ercoupe 415 as part of its' American Advances in Aviation series.